I'm also wondering what Sylva has looked into at this point. I am excited if there is something interesting. You know my major regret with the musical evolution of FFXV up to this point. They didn't invited Hiroki Kikuta on as a guest. Having listened to his work on Soukaigi and Koudelka, he could've turned out some incredible tracks. It's kinda crazy when you think about it. This game came out in 2016. In 2019, I'm just letting go of it. There was so much I wanted to do with mods. I wanted to turn it into GTA Online. I'd have been playing for years. I was never fully on board with the Luminous Engine, it doesn't impress me. Hopefully someone will eventually try to remake at least part of the game but. The Luminous Engine doesn't impress you because... it can't be easily reverse-engineered by fans? I'm not sure how that follows. At the very least, Luminous is clearly capable of putting out more polygons at higher resolutions than UE4. I don't think the engine should be criticized just because Squenix sought to avoid a Frostbyte-style catastrophe when making decisions about KHIII and FFVIIR. I just don't think it looks that smooth. Sometimes it looks good most of the time it doesn't. This isn't the Foundation engine. It has this odd look to it. Sometimes I look at other games and sigh. All the stuff they said the engine couldn't do too. Like, Leviathan was supposed to be way better than it was. It's important to remember that different games are operating under different constraints. It's not really fair to compare an open world game with real-time GI to a linear corridor game with baked GI. It's also to remember that engines evolve. I think the setpieces in Episode Ignis were more impressive than the Leviathan setpiece from the original game, probably because they had more time to work on the engine. EDIT: Oh, Foundation Engine is Crystal Dynamics' Tomb Raider engine. In that case, I think the most important factor is the vast difference in scope between the two games -- Tomb Raider never needs to worry about four party members, fifteen enemies, or loading in a summon who will require the camera to shift hundreds of feet in the air. FFXIV's side of the collaboration starts tomorrow, I'll probably stream it after I get out of class for anyone here who doesn't play XIV but is interested. Has there been any news on the novel? The promotion hasn't been that big.. I'm not worried but hopefully we will have something before April 25th. Are there any unofficial translators who are planning to help work on some of the novel parts before the English release? Noctis: I didn't do anything. Why should I have to pay for what my ancestors have done? Luna & Ardyn: Ask Bahamut because Bahumut says you WILL pay for what your ancestors have done! But Noct's refusal to treat his calling as an undeserved punishment is part of what makes him such a compelling hero. It's not about what Noct deserves, but about his willingness to bear the faults of his ancestors for the sake of the world. Heck, he even wants to save Ardyn, in spite of everything Ardyn did to him. Totally agree, Noctis's entire character arc is him growing up and learning to take responsibility rather than asking "why me?" One of my favorite FF protags for that. Going from the scene with him in the first tomb with Cor to when he returns to Insomnia is such an amazing journey. 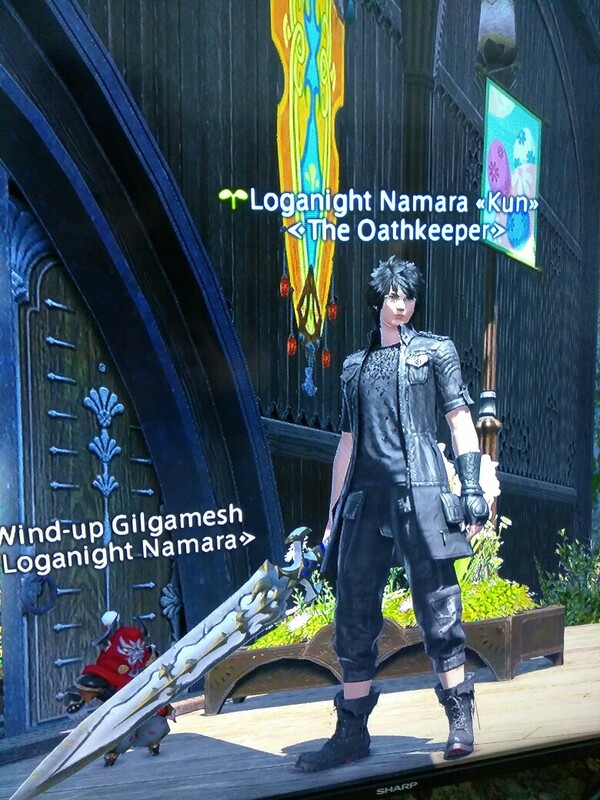 Streaming the XIV event now for anyone interested! That was a great stream. And...have to agree with Noctis about how his gods behave. I mean, really. Very fun, and rather sad. Maybe happened while he was sleeping in the Crystal? animation Regalia in final fantasy xiv is bad and funny ^^". Have you guys seen the news about the PlayStation 5 today? I did while browsing the internet.